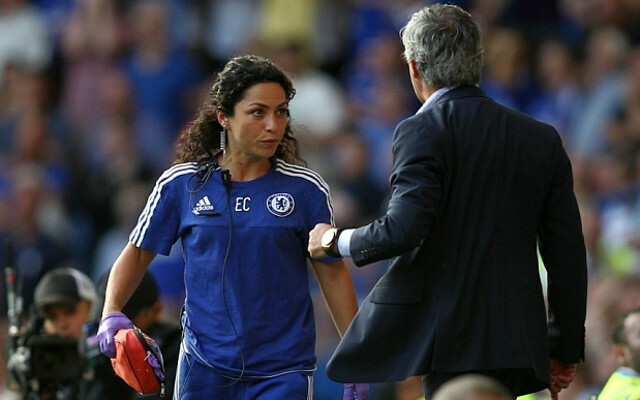 The Daily Mail have revealed what it was Chelsea boss Jose Mourinho screamed at club doctor Eva Carneiro during their 2-2 draw with Swansea City. The Portuguese lost his temper with the medic when she went on the field of play to treat Eden Hazard after a heavy challenge. This meant that the 24-year-old had to go to the sidelines, leaving his team with only nine players on the pitch after the earlier sending off of Thibaut Courtois. Chelsea players are apparently stunned at a series of outbursts aimed at them and members of staff. Fans will be hoping that this doesn’t affect their performances in upcoming matches. The incident is likely to be discussed at a press conference on Friday, ahead of the club’s match against Manchester City on Sunday. The encounter with last year’s second placed side will be vital in the Premier League title race, and if dropped points in the match can be put down to the furore surrounding this outburst it will be a major blow to the former Real Madrid boss.